Control your bike and explore this territory. Here you will drive the way that you can choose yourself. Pass each level easily and set the best record. Here is everything depends on you. Just control your vehicle and enjoy the game! Welcome to the forest, where you will drive the most exciting bike! Be ready to spin yourself into the air in this great fun, pro free trial bike styled game. 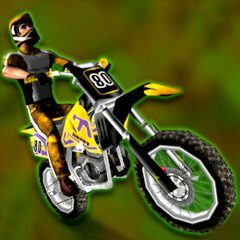 As you have understood, your aim of the game is to ride through the beautiful green forests into the winter levels packed with snow and ice to progress to the next level. It is up to you and you can choose the way you want to pass the level, you can perform it by racing through the level performing the perfect stunt or simply by taking your time and going at your own speed. Have a lot of fun!